In this podcast, Dr James Smith from the Aegis Trust UK talks about the term 'genocide' and the effects that it has on individuals, communities and nations today. 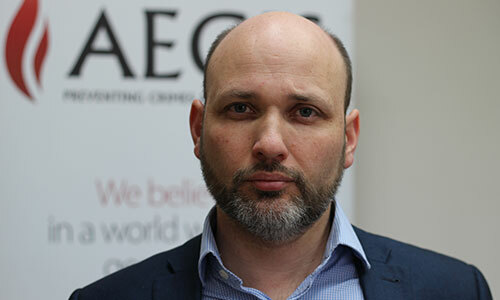 Dr James Smith is co-founder and Chief Executive of the Aegis Trust, a UK based non-governmental organisation established in 2000 for the prevention of genocide. He is the co-Founder of The Holocaust Centre, where the lessons of history are applied to the prevention of genocide and is visited by over 500 students each week. Dr Smith’s focus of recent years has been the mounting genocide in Darfur in western Sudan. The Aegis Trust campaign has gathered momentum since 2004 with world leaders echoing the need for a UN peace-keeping force. In this podcast for the Holocaust Memorial Day Trust, Dr Smith introduces the term ‘genocide’ and the effects that it has on individuals, communities and nations today.